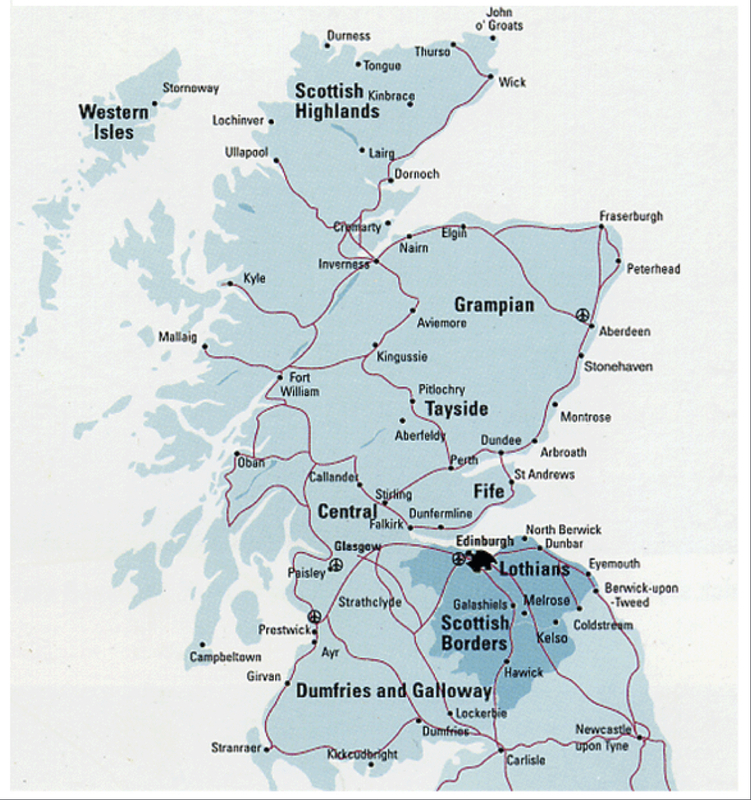 This region is serviced by three major airports within 2 hours' drive - Edinburgh, Newcastle and Glasgow - and is linked to the north of England and central Scotland by an excellent road network. Edinburgh Airport is 8 miles (12km) to the west of the city centre. It is served by major airlines with direct scheduled services from a host of international destinations including New York, Toronto, Paris, Amsterdam, Berlin, Rome, Zurich, Abu Dhabi. In addition there are over 60 flights each day from London's airports, taking approximately 1 hour, and services from other areas of the UK. Direct flights from Chicago, Philadelphia and Dubai arrive at Glasgow airport, which is one hour’s drive from Edinburgh. Edinburgh city centre is approximately 20 minutes by taxi from the airport and the taxi fare is about £20. Transport for Edinburgh operate a bus and a tram service from the city centre to the airport; travelling time is 25-30 minutes with services leaving every 10 minutes. Drivers from overseas who do not hold a UK driving licence may drive in Britain providing their licence is valid in their own country. It is, however, a good idea to obtain an international driving licence to smooth the process of hiring a car. Please note that some car hire companies insist on drivers being at least 23 years old. For larger vehicles the minimum age may be 25 years. 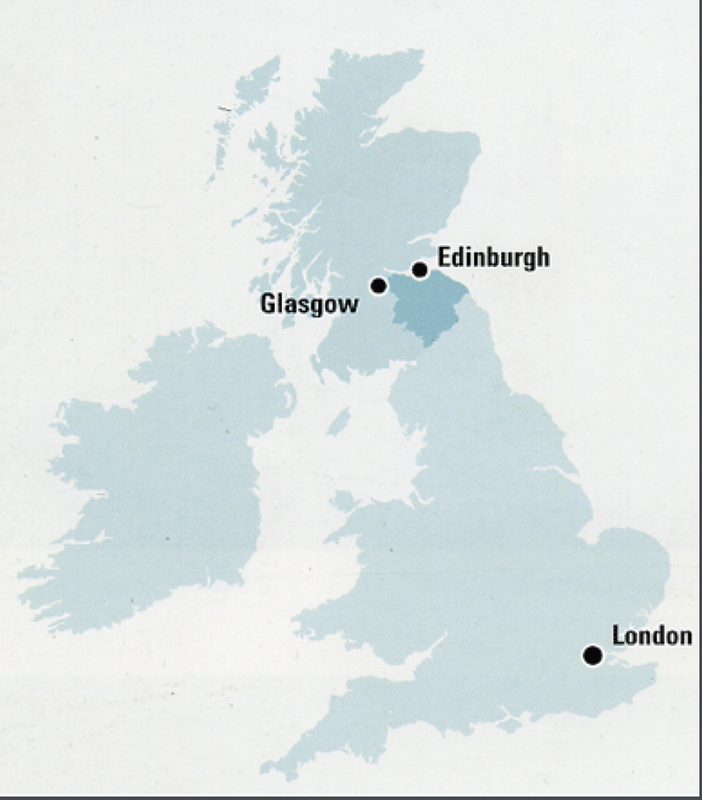 Edinburgh is served by an extensive network of rail services from London and other principal UK cities. High-speed trains operate on the London route with a journey time of approximately 4-4.5 hours, to Waverley Station in the city centre. 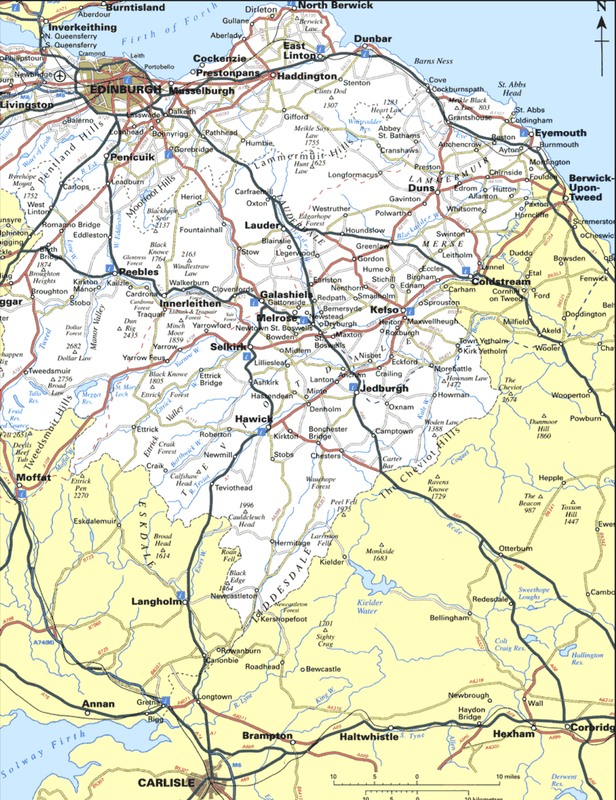 East Lothian is well serviced by rail, with Dunbar station on the mainline to London, and a local network operating services to Musselburgh, Wallyford, Prestonpans, Longniddry, Drem and North Berwick. The Borders Railway opens in September 2015, with trains running from Edinburgh Waverley station through Midlothian into the heart of the Scottish Borders, terminating at Tweedbank, between Galashiels and Melrose. Trains run between Glasgow Queen Street and Edinburgh Waverley every 15 minutes from 7.00am to 7.00pm (weekdays), and every half hour after that until they stop at 11.30pm. The journey takes 50 minutes. Train services linking Edinburgh to destinations throughout Scotland are provided by First Scotrail. For a detailed UK timetable and fare information please contact National Rail Enquiries, tel +44 (0) 8457 484950.